Jewish holidays and festivals are a commemoration of Jews� religious history and background. Explore the Jewish festival calendar 2019. The Jews or Jewish people represent an ethno religious group, whose ethnicity, nationality and religion are closely interlinked. The traditional faith of the Jewish nation is Judaism. There are 13.2 million Jews worldwide, according to the Jewish agency for Israel. While 5.4 million Jews are based in their homeland Israel, a thumping 5.3 million Jews are situated in the U.S. and their remaining population is distributed around the world in different sizes of communities. According to the Hebrew Bible, The Land of Israel is the promised homeland to Jews by God. Festive holidays are an integral part of the Jewish life, just as in the case of any other community across the world. Festive rituals and traditions have kept the Jewish identity and history alive since ages. They contribute to their sense of community and belonging, apart from serving as reminders of significant historic events. Shavuot commemorates the anniversary of the day God gave the Torah to Moses and the Israelites at Mount Sinai. Sukkot is one of the three biblical pilgrim festivals, when it was traditional for Jews to visit the Temple in Jerusalem. The other main festivals of the Jews are the two holy days - Rosh Hashanah, commonly referred to as the Jewish New Year; and Yom Kippur, also known as the Day of Atonement. 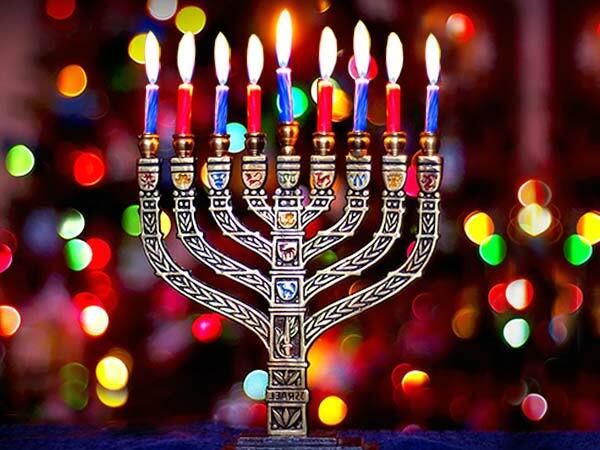 Hanukkah is another major Jewish festival, which extends over a week, like Passover.